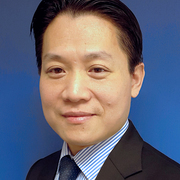 Mr. Fuan Chan MD FRCSI(Plast) is a fully accredited consultant plastic surgeon, who is on the Specialist Register in Plastic Surgery with the Irish Medical Council and the General Medical Council in the UK. Mr. Fuan Chan MD FRCSI(Plast) specialises in skin cancer surgery, trauma reconstructive surgery, breast and cosmetic surgery including Asian cosmetic surgery, cleft rhinoplasty and cleft orthognathic surgery. He graduated from Trinity College Dublin (TCD) and completed his plastic, reconstructive and aesthetic higher surgical training through the Royal College of Surgeons in Ireland. His outstanding achievements led to the offer of a one-year fellowship in plastic surgery (craniofacial surgery) at the prestigious Ronald Reagan Medical Center, University of California, Los Angeles (UCLA). He has also worked with many leading Plastic Surgeons who are affiliated to UCLA. He earned numerous awards and gold medals in plastic surgery at national and international scientific meetings with more than 25 peer-reviewed publications and delivered more than 30 presentations at plastic surgery scientific meetings in Ireland, Europe, USA and Asia. Envie três fotos hoje e veja uma simulação 3D durante sua próxima consulta com Fuan Chan. Veja seu atual corpo/rosto em 3D antes da consulta e tenha acesso desde casa para ver simulação e compartilhar com amigos depois da consulta e assim tomar uma decisão mais segura. Depois da consulta com Fuan Chan, é possível pedir acesso e também compartilhar com seus amigos e familiares e ter opiniões.